Uluntu Africa has been assisting Dalukhanyo pre-school in Langa, one of the oldest townships near Cape Town, for the past two years. Dalukhanyo is part of the Hostels to Homes project and provides care for babies and children up to 6 years old. 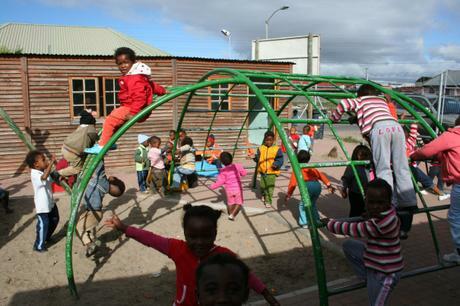 Dalukhanyo is one of the few nursery facilities in Langa and fills the need for cheap and often even free daycare to working parents and single mothers in the area. Earlier this year we were contacted by Gordon and Pam Gaddes from the UK. They visited the school during a township tour in November 2010, and on their return home, decided that they wanted to continue supporting the pre-school and set up the Langa Township Pre-School Trust (LTPT). 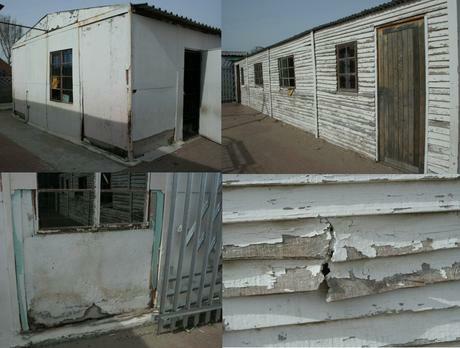 The Trust officially launched in June 2011, and their overall aim is to provide regular financial support to Dalukhanyo. Uluntu Africa has been working closely with LTPT to identify and address various needs and issues at the school in order to provide support where most needed. One of the key short term objectives identified was the need for school uniforms or tracksuits. The LTP Trust raised the funds to purchase nine baby outfits, and 185 tailor-made tracksuits with ‘Dalukhanyo Pre-School’ embroidered on the back. The tracksuits are currently being produced locally by a small company based in Athlone, and run by Johanna, supporting the local community economically at the same time. The children receive two meals and several snacks per day at Dalukhanyo, which are often the only meals they will get. The real challenge for the school lies in providing nutritious meals when they only have very limited funds available. The LTP Trust stepped up to the challenge and now assists with regular fresh vegetable deliveries that started in July 2011. Harvest of Hope delivers 7 packets of fresh, locally grown, organic vegetables to the school on a weekly basis. The content of the veggie boxes varies throughout the growing season, but typically contains a mix of vegetables, such as potatoes, cauliflower, cabbage, spinach, carrots, lettuce, and eggs. These weekly vegetable deliveries help the school not only to save money on groceries, but also provide the children with healthy and nutritional meals. The Trust further supports the work of Abalimi Bezekhaya (Farmers of the Home), a non-profit development organisation based primarily in township communities like Nyanga and Khayelitsha. Residents in these townships are encouraged and supported to grow their own organic vegetables to feed their families. Some of these micro-farmers are now producing more than enough to feed their own extended families and often their neighbours. The surplus is sold on behalf of the farmers through Abalimi’s Harvest of Hope in the form of a weekly organic veggie box scheme in the Cape Town area. Gordon and Pam will be visiting Cape Town and Dalukhanyo again in November this year, and we look forward to welcome them at the school. Some years ago, the local government built three prefab classrooms that now house Dalukhanyo’s 185 pupils. However the existing buildings are in desperate need of repair and a fresh coat of paint, and there are several urgent plumbing issues that need sorting out. The teachers and children at Dalukhanyo dream of being able to eventually rebuild their school and transform it into a space that will offer a safe and inspirational environment for the children to learn and play. But in reality there is still a lot that has to be done in terms of planning, approval, and fundraising, and it will probably be a couple of years before the building project can be launched. Fundraising is currently underway to cover the cost of some basic repairs, painting supplies, and plumbing materials to ensure that the school can continue to operate and provide a safe and healthy environment for the children, and peace of mind to their working parents. 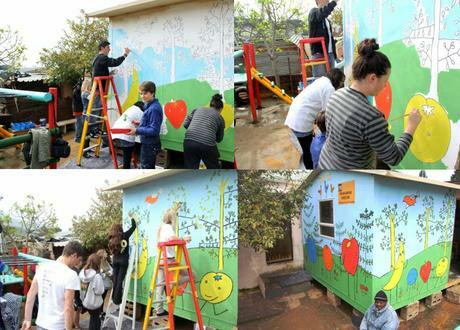 …into a bright, cheerful and inspirational space similar to the Pakamani Crèche in Kayamandi? Once all the basics and most urgent maintenance work has been completed, we hope to add some colourful designs to brighten up the kids playground and classrooms. We have been inspired by some of the other pre-school make-over projects around the country, and have been chatting to Xanele Puren from See-Saw-Do, a social enterprise that transforms the environments, where children reside and are taught in. They mainly focus on pre-schools and each is re-designed and painted according to a theme that is relevant to the facility and its community. They also design and illustrate locally relevant educational books in local languages, which can be distributed to pre-schools. Alternatively, you can become a Friend of the LTP Trust and make a one-off or monthly donation. Join us to bring light to Dalukhanyo’s future!